Voters in Houston, where the lawns are greener and the water restrictions are still voluntary, will have an outsize impact on November's constitutional amendment on water. The wettest part of the state will have an outsized say in the state’s water planning. 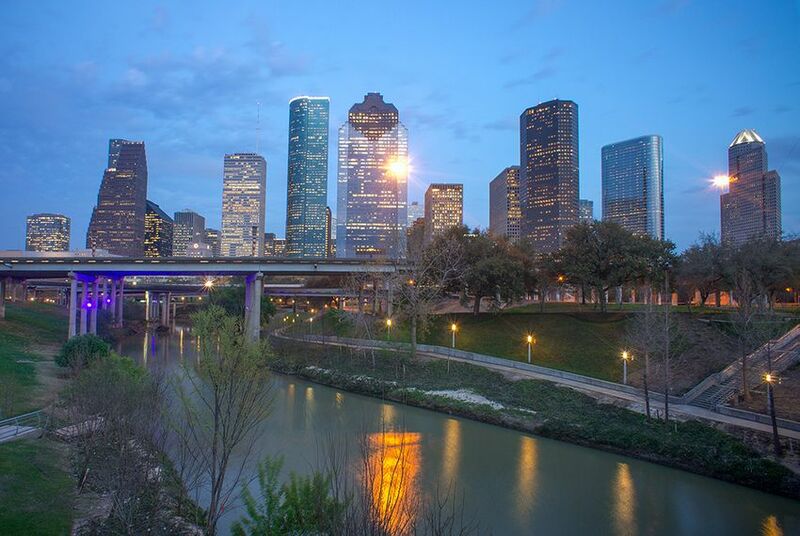 Houston, with a mayoral race and the “eighth wonder of the world” on the ballot, could account for one-third of the votes in November’s constitutional-amendment election on $1.1 billion for water projects around the state. In places like Wichita Falls and San Antonio and almost anywhere west of Interstate 35, lots of lawns are brown and crunchy and much of the countryside is parched. Cities all over the state restrict water use, limiting the number of times each week — and sometimes which hours of the day — residents can water their plants and grass. In some places, utilities have banned outdoor use of water altogether, with exceptions only for livestock. In others, customers can water but can’t use anything other than hand-held hoses and nozzles. It is easy to make some assumptions about whether those dry-country voters will support money for water projects that could ease the effects of this and future droughts. In places where the lawns are still green and relatively unthreatened, however, voter awareness of the state’s water problems may fall behind other concerns, like what to do with the giant hunk of concrete and steel known as the Astrodome. What was once billed as the eighth wonder of the world by exuberant boosters is now shuttered. Harris County voters will decide in November whether to spend up to $217 million to remake the facility into a convention and exhibition space. Some of those voters — those who live in the city of Houston itself — may be more interested in deciding whether to re-elect or replace Annise Parker, the mayor since 2010 and an elected city official since 1998. She faces challengers with money, notably Ben Hall, and that may be the sort of contentious campaign that attracts voter attention. Those two issues — whether to keep the mayor and whether to refurbish the world’s biggest sports barn — are the biggest things on the November ballot in the state’s biggest city. Other city elections and issues are tepid by comparison. Harris County accounts for more votes than any other county in a normal election. This year, with the mayor’s office and the Astrodome generating attention and without comparably alluring issues on other ballots around the state, it will probably play a bigger role than usual. In last year’s general election, 14.9 percent of the Texas votes were cast in Harris County. In the forthcoming November election, political experts inside and outside Houston are predicting that more than 30 percent of the statewide votes will come out of Harris. Other places are big in normal elections, and Dallas, San Antonio, Austin, Fort Worth and El Paso will be big this time. But not like Houston. All of that tells the water promoters where to go. Once there, they have some selling to do. In most of those cities, they’ll be talking to voters with crunchy lawns. Houston’s water department has customers on voluntary water restrictions, encouraging conservation but not doing anything to punish people who water more than the recommended amount. And the conventional wisdom has more to do with flooding than with drought: people like to say the problem in Houston is with too much water and in the wrong places. The campaigns on behalf of the constitutional amendment will start working on voters in the next few weeks. They are still raising money for those efforts now, and it may actually help to have the voters concentrated in major urban areas — the better to focus the advertising — rather than scattered all over the state. Their worry is that the biggest source of votes is on the rainy side of the state, and that opponents may jump in late with an appeal against bond debt and state spending. They will probably find the answer in Houston.